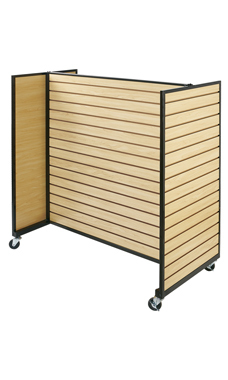 The Metal Framed Rolling Slatwall Gondola is the best of both worlds with the ability to merchandise on four sides as well as on shelves. Comes with casters included and in an attractive maple color to coordinate with other pieces in your store. Shelves not included.